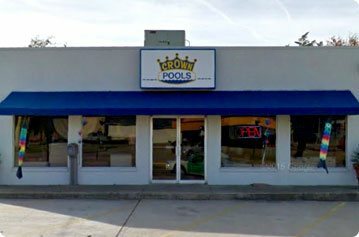 Welcome to Crown Pools – your Dallas area pool and spa experts since 1972. Whether you’re on the market for a new pool or spa, looking for a reliable service and maintenance company, are in need of top quality pool and spa chemicals, equipment, accessories and more, or are wanting to create a beautiful outdoor living area, Crown Pools is the right choice for creating the outdoor Dallas lifestyle at a price you can afford. 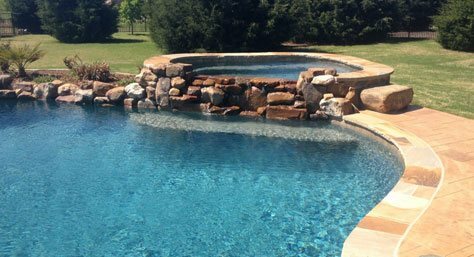 Family-owned and operated Crown Pools remains dedicated to providing the Dallas, DeSoto, Allen and surrounding areas with the ultimate pool-building experience. 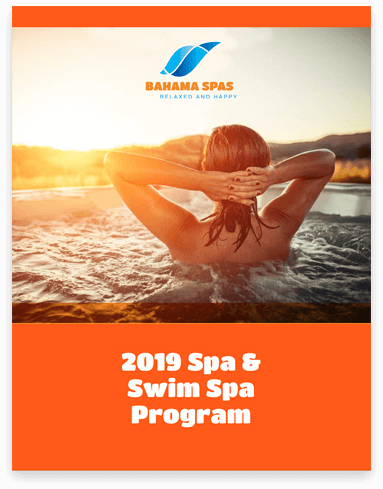 We want you to feel at ease throughout the entire process, and that’s why we’re with you from the design stage to long after your pool is complete. Our team cares for your backyard as if it were our own, so you can count on exceptional customer service, professionalism, and knowledgeable staff every time. 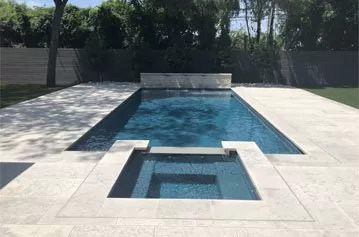 Crown Pools offers three different types of pools, depending on your needs and budget – inground custom gunite, inground vinyl liner and above ground. We also offer portable spas, a perfect addition to your backyard escape. We offer weekly full-service programs depending on your needs, as well as equipment or cosmetic repair services from experienced technicians. If you’re looking to create a more custom outdoor living area, we can also help. From landscaping to hardscape design, we’re able to build a beautiful space that allows you to bring the indoors out. The options are truly endless, and we look forward to creating a place you and your family will enjoy for years to come. Contact us to learn more about all that Crown Pools offers and let the professionals jump start your dream today. At Crown Pools, we understand the commitment you make when you decide incorporate a pool into your backyard, and that's why we're dedicated to making the construction process as seamless as possible. 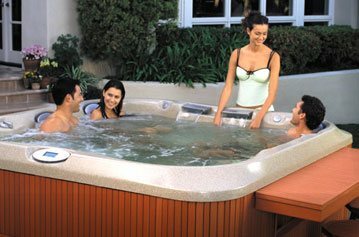 Whether you use your hot tub for relaxing, entertaining, or the perfect night with that special someone, it is our goal to get your hot tub repaired, so you can go back to enjoying it. 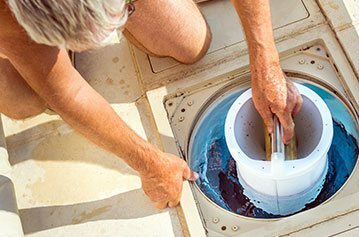 By working with the trusted pool professionals at Crown Pools, you can rest assured that your pool issue will be properly diagnosed and repaired according to the highest standards of quality and service. At Crown Pools, we understand your time is valuable, and that's why we offer professional pool and spa service and maintenance. Owning a pool requires a lot of responsibility, but you need a break and we're here to give that to you. 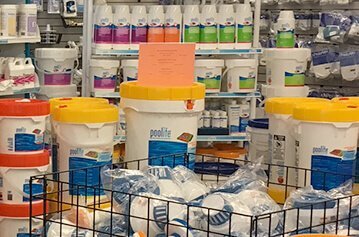 Crown Pools is dedicated to providing our customers with the very best pool and spa chemicals on the market. 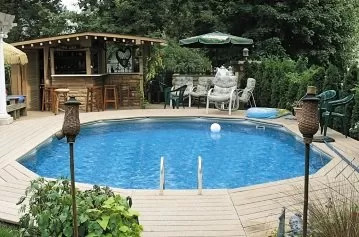 Get your project started right by browsing through our galleries to see just a small sampling of the Above Ground pools, Inground pools and Custom In-ground pools projects we've created, including our unique in-ground spas. Take note of materials, overall looks, anything that will inspire you for your upcoming project from Crown Pools.